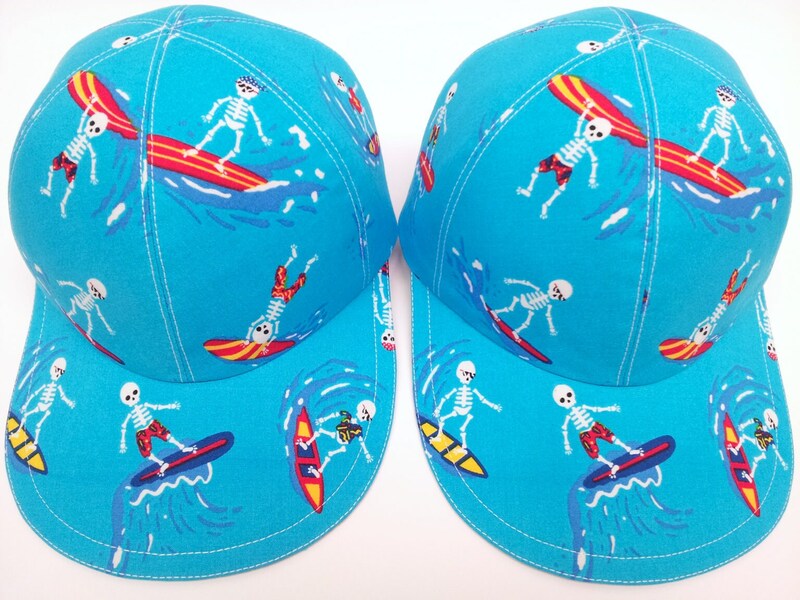 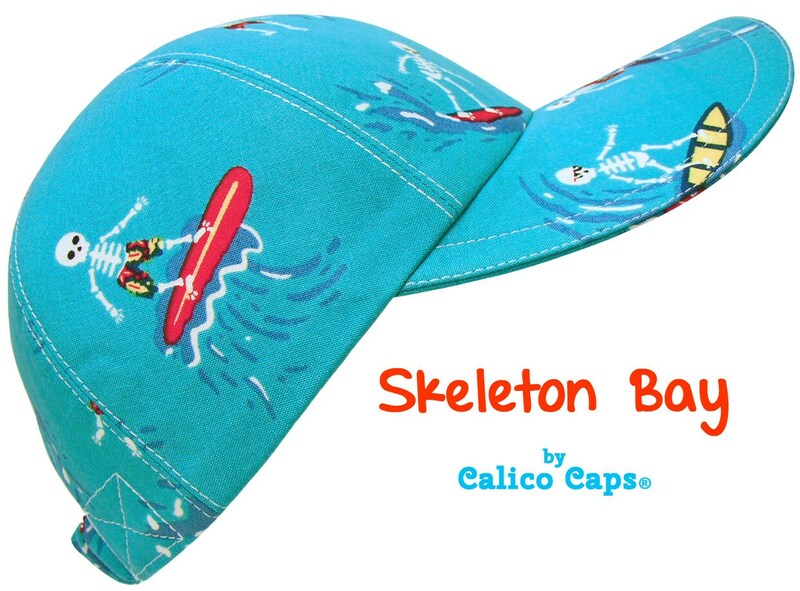 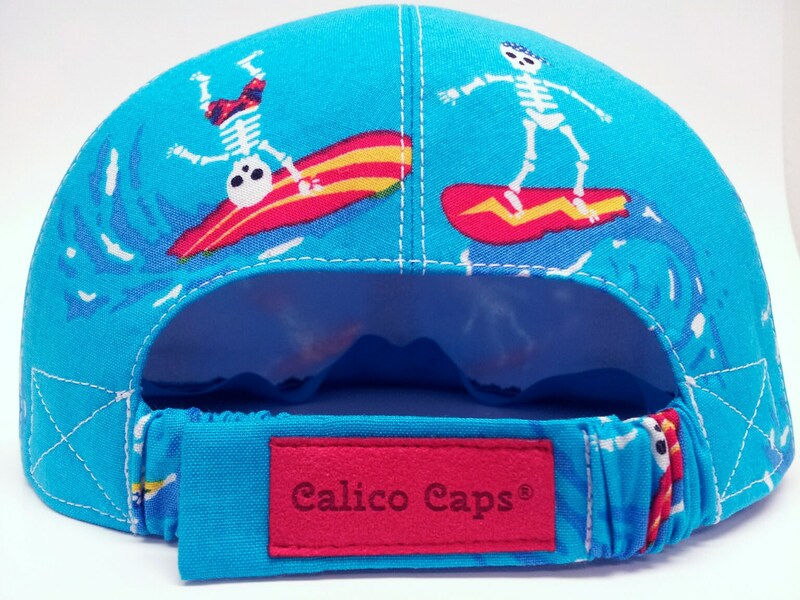 This Limited Edition Calico Cap® is called "Skeleton Bay" - Cute little skeleton dudes wearing board shorts, doorags, and/or sunglasses on different colored surf boards. 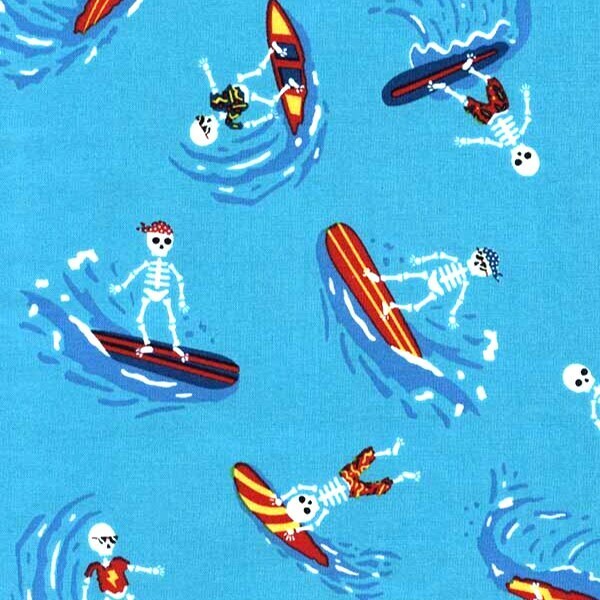 One of them is wearing a lightening bolt T-shirt. 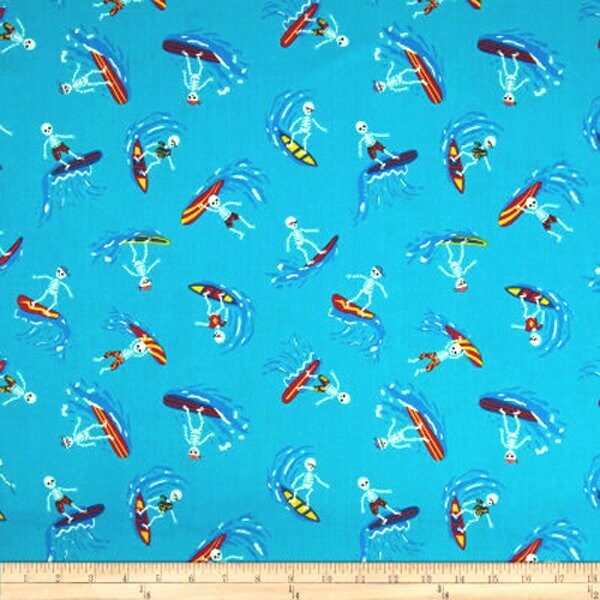 Such a cute print on a rich, classic shade of turquoise. 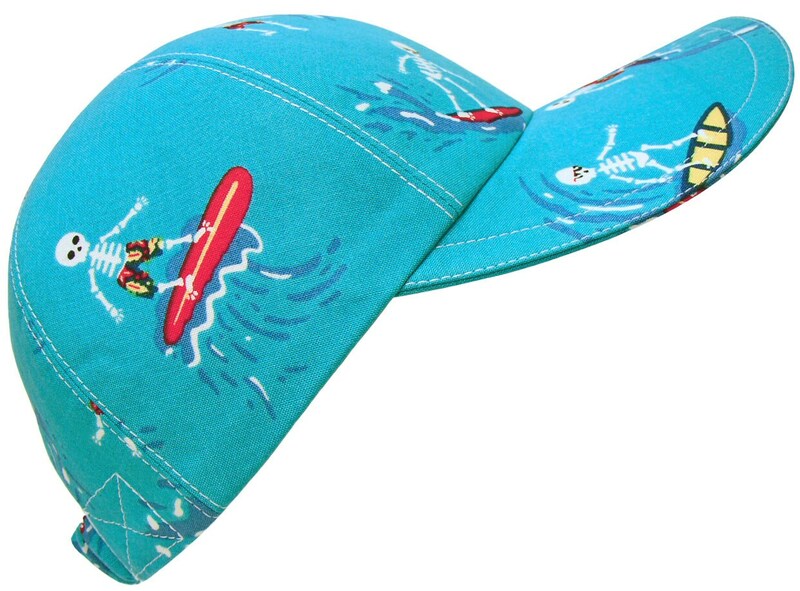 White top-stitching, turquoise grosgrain band on the pretty, white-on-white cotton floral print lining.